Make online advertising easier for your clients and improve their experience by partnering with WordStream. All WordStream partnerships include a shared revenue stream, either through a singular payment or monthly revenue share, so you make money, too! Give your clients access to WordStream’s suite of tools, extensive content library, and leading online advertising strategies to scale their businesses. WordStream works with customers of all sizes and levels of marketing sophistication, and on average, our customers increase conversions by 30%. Boost your reputation and reach by partnering with the most trusted solution in online advertising. 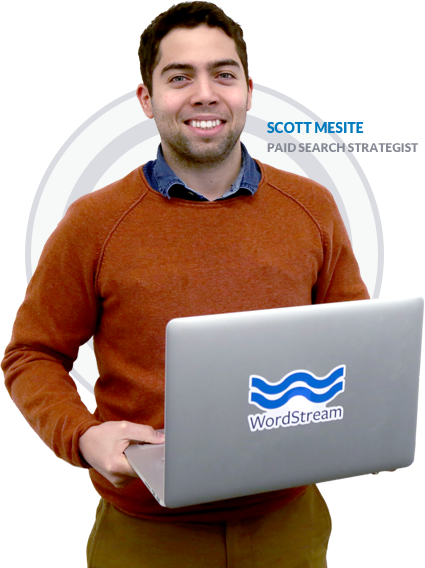 WordStream works closely with a number of industry-specific channel partners to provide them with the software, tools, data, and support they need to succeed in online advertising. WordStream’s award-winning product and premier thought leadership make it the highest rated software in the industry by customers and partners alike. WordStream is the highest rated online advertising software in the world. We service happy customers, with over a 96% monthly retention rate. From contracting and setup, to marketing and customer conversion, we create all the necessary deliverables to help you hit the ground running. Our team will assist in the creation of co-branded assets, call tracking, and monthly reporting to ensure a long-standing relationship. The National Independent Automobile Dealers Association (NIADA), founded in 1946 has represented quality independent automobile dealers for over 70 years. NIADA is here to assist its members in becoming more successful within the used motor vehicle industry. Through membership in NIADA, you join with over 20,000 other professional auto dealers who share your dream of financial prosperity for your business. NIADA is your legislative advocate -- protecting your business interests. The association consistently brings industry education, valuable information, services and benefits designed to prepare members for an ever-changing marketplace. The Personal Injury Lawyers Marketing & Management Association (PILMMA) was created to fill the void of marketing and management resources available to personal injury and disability lawyers. Their mission is to alleviate the frustrations of 5,000 overworked injury and disability law firm owners by helping them achieve greater profit, higher productivity, and more balanced lifestyles. M.E.S.A. (Mobile Electronic Specialists of America) is the largest independent 12 volt buying group in the United States. With 137 award-winning Mobile Electronics members covering the country with 262 certified locations, M.E.S.A dealers offer only the highest level of service and professional installation of all our brands. Kickserv is an intuitive field service software that gives service business owners the opportunity to manage their quotes and customers, schedule consultations and service, and even handle all their bookkeeping; leaving the rest of their schedule free to focus on growing their business. Great Legal Marketing is an organization founded by practicing attorney Ben Glass, focused on helping lawyers think differently about their business and integrate marketing as a core practice. Their goal is to give lawyers the marketing and management resources they need to be successful and grow their business. Founded in 1951, the National Tour Association is the premier organization of packaged travel professionals who serve travelers to, from, and within North America. Their 700+ buyer members are tour operators who package travel domestically and around the world as well as travel agents who sell these tours. Their seller members - 500 destinations and 1,100 tour suppliers - specialize in markets such as student, family, faith, adventure, culinary, China inbound and more. NECA is the voice of $171 billion electrical construction industry that brings power, light, and communications technology to buildings and communities across the U.S. Our national office and 119 local chapters advance the industry through advocacy, education, research, and standards development. A diverse group of nearly 4,000-member companies account for approximately 300 million man-hours per year. Complete the form to see if becoming a WordStream Channel Partner is right for your business.